Get ready for the frēq-y power trio from the future, melding the talents of Vernon Reid on guitar, Jamaaladeen Tacuma on bass and G. Calvin Weston on drums. This extraordinary meeting of the minds and souls break new ground in the definition of the timeless trio sound using the best elements of improvisation, modern DSP, and good old-fashioned funk. Groups are often touted as having "natural chemistry", but few if any would attempt a recording like this putting those often used words to the test. Despite their long personal association, Reid, Tacuma and Weston had never before played together. The birth of the free form funky frēqs is intertwined with the untimely death of Tonic, the legendary underground center for jazz, rock performance and experimental music in lower Manhattan. In its waning days a number of performances were commissioned from artists associated with the venue. Enter Weston, whose called two long time friends to share the stage. Due to traveling and production circumstances, the trio had not played a single note together. The success of this spontaneous performance at Tonic came as a surprise and revelations to the members of the trio. What started as an impromptu gig, now begged further consideration. Shortly thereafter, Weston invited Reid and Tacuma to come to the rhythm section's native Philadelphia, playing the underground haven, Tritone. Once again with no prior planning, the three took the stage and had yet another remarkable evening. These three musical innovators went into the studio wanting to explore the organic energy and excitement they felt from the live performances. What you hear on this recording is their third performance. 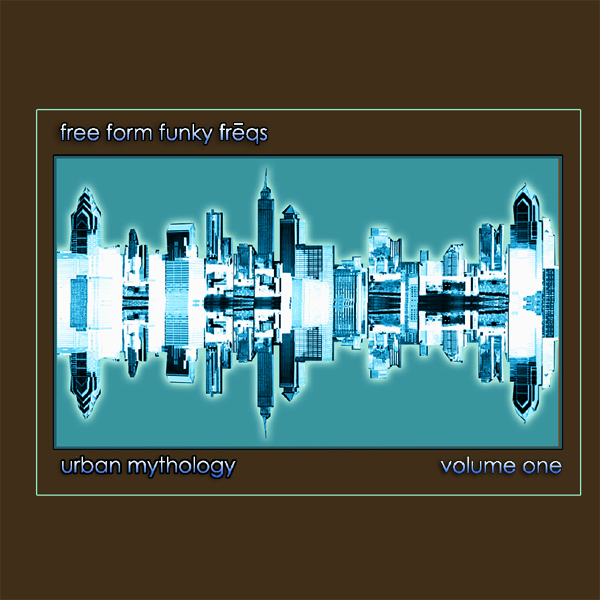 Electrified by Reid's thought and riff provoking guitar playing, matched with Tacuma's inventive bass work and locked down by Weston's deep in the groove kit work, "urban mythology volume one" is a chapter in its own book. Is it the reinvention of the power trio, or is it a peek into the future? or perhaps it's the present being fast-forwarded? That is for you to decide, but either way, it's a journey worth taking.